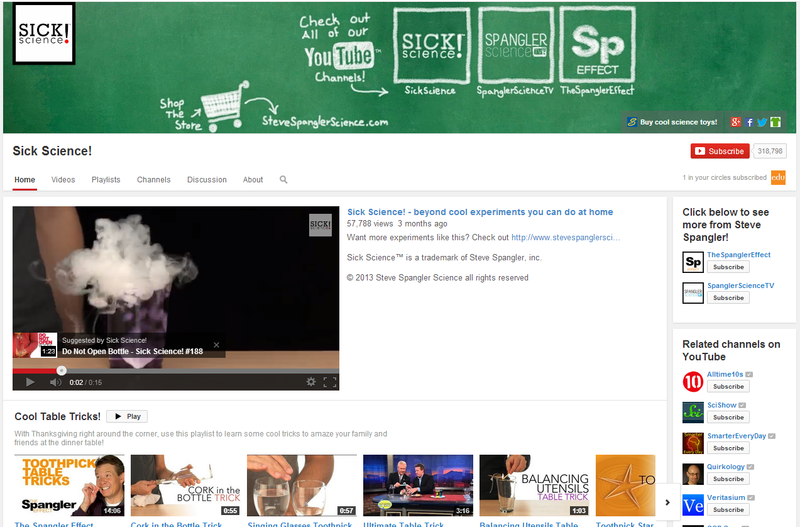 This YouTube channels currently has nearly 60 videos that focus on science in the "real world." Some of the topics they explore include yawning, snowboarding, and sleeping. 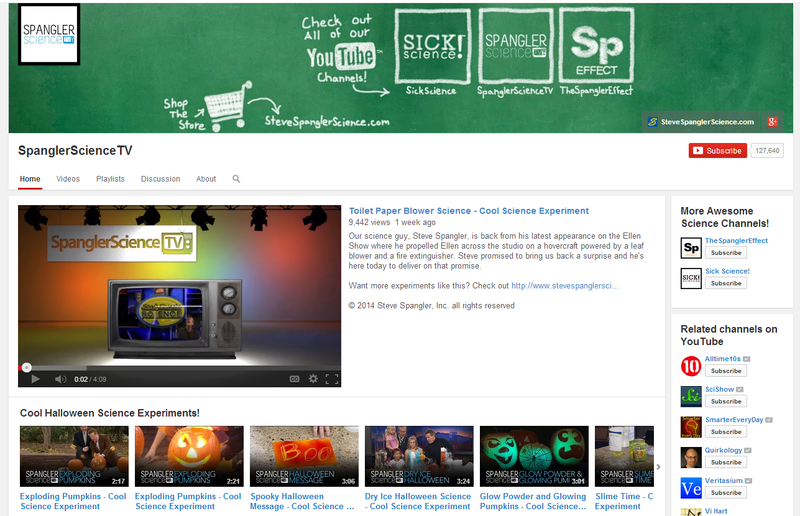 For science teachers, there may not be a better resource than Steve Spangler's YouTube channels. He not only performs fun and engaging experiments but he takes the time to explain the science behind what you see. Here you can find nearly 500 interesting experiments that can be done at home. Here you will find hundreds of science experiments and some that have been performed on television shows such as Ellen and Minute to Win it. 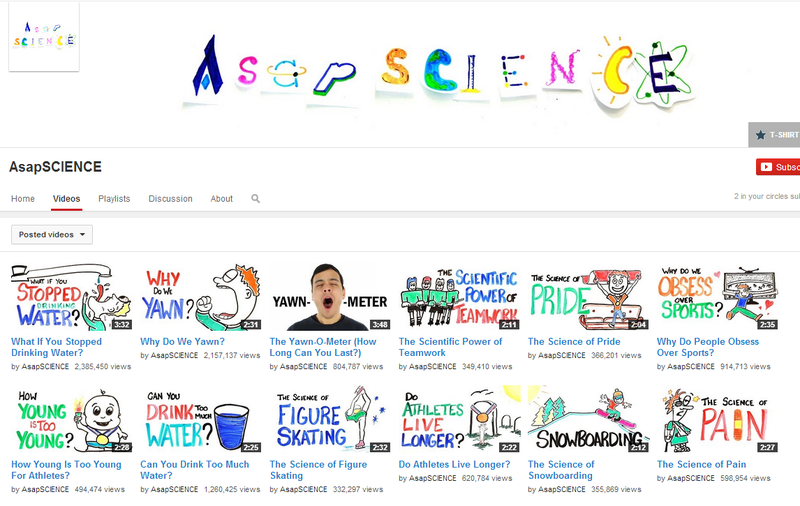 Finally you can enjoy another 100+ science videos produced by Steve Spangler including some recorded live and behind the scenes as well. 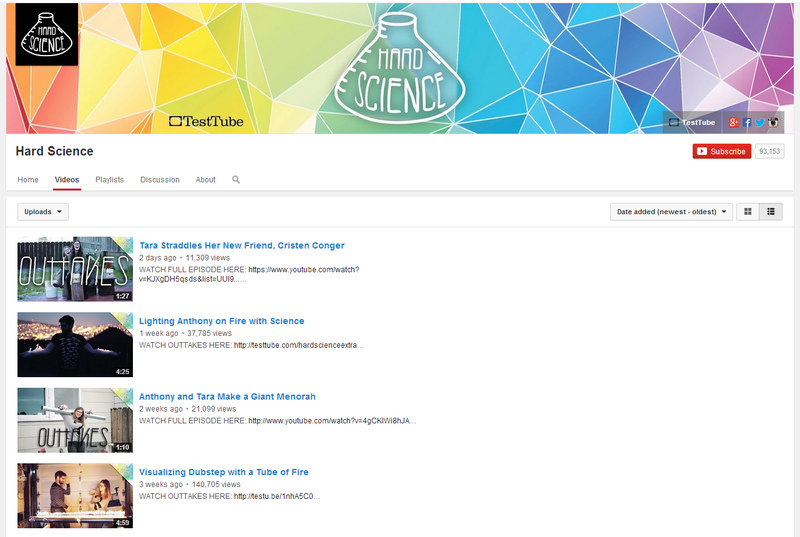 Tara and Anthony are relative new comers to the world of YouTube science videos but they are fun to watch. 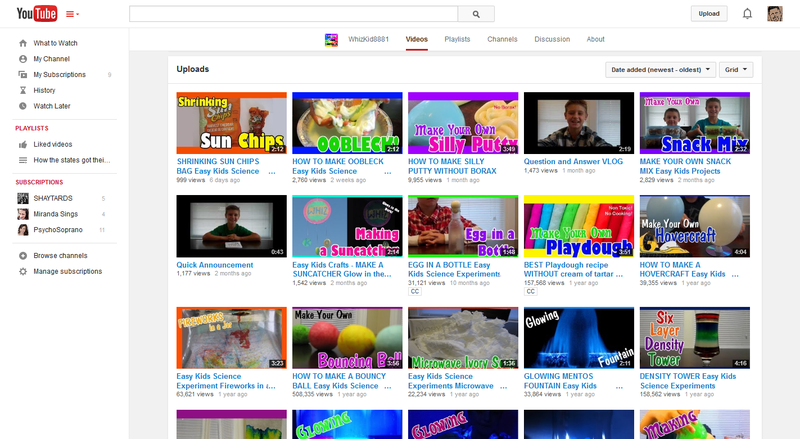 They started in November of 2013 and currently have over 30 videos to watch. Their topics are all science based but are done in a very entertaining way. Minute physics lives by the idea that "If you can't explain it simply, you don't understand it well enough." 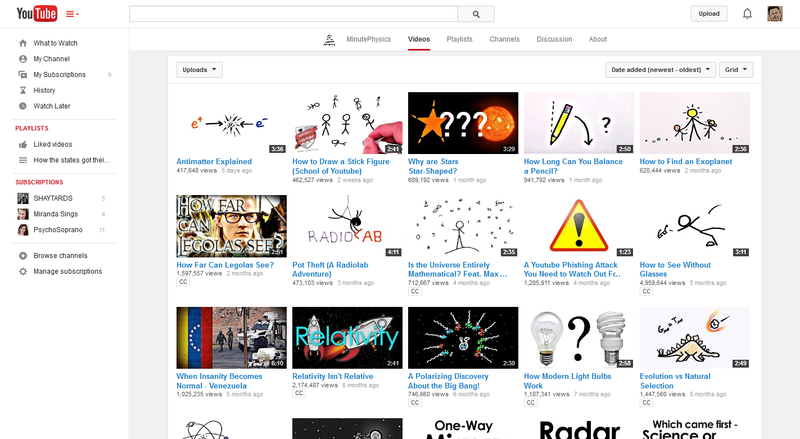 Their collection of over 135 videos are simple and yet very effective in explaining various physics topics. Here you can find over 25 easy science projects that can be done from home. The objects used in the videos are simple every day things like eggs, chip bags, and balloons. 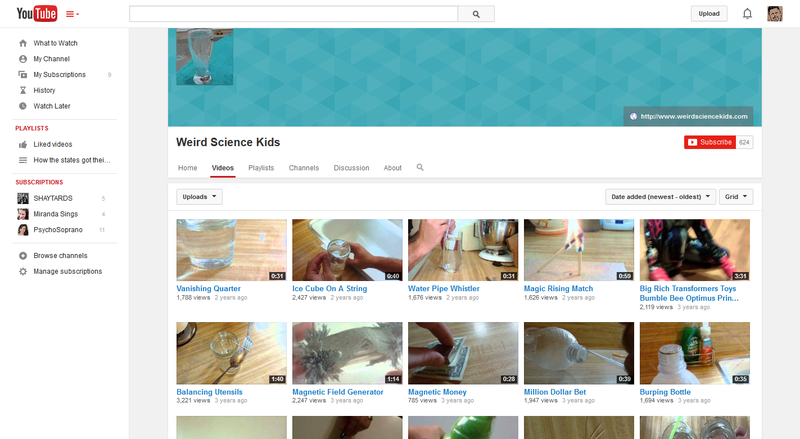 This channel is another great place to find simple experiments that can be done anywhere. 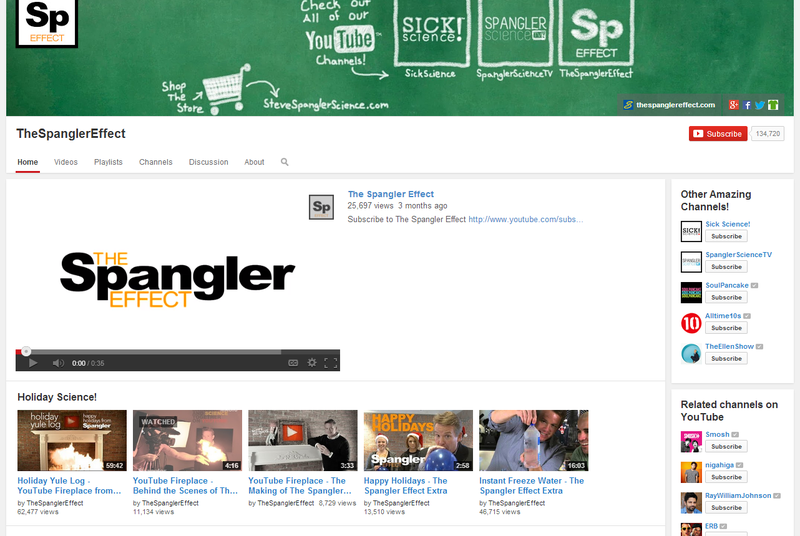 There are more than 70 interesting videos to explore and you will enjoy watching them all. With hundreds and hundreds of science related news stories, Newsy Science is a tremendous resource for teachers who want to blend scientific principals with current events. 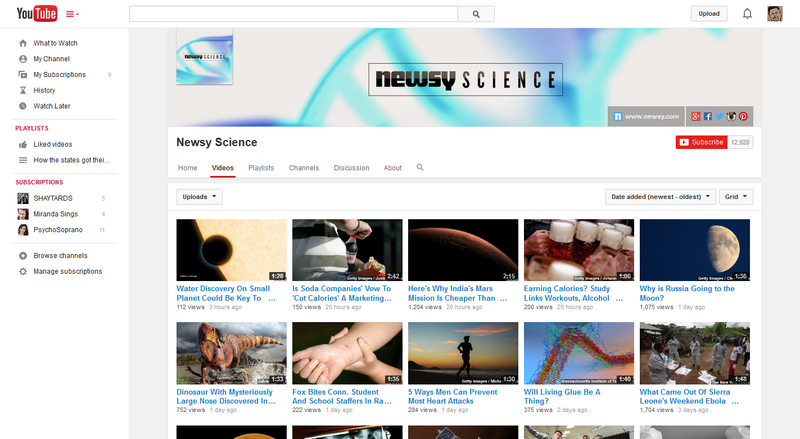 The channel draws from a wide variety of news agencies and has produced an impressive library of videos that will benefit any science classroom. On Sundays when I was in college, I would walk to a nearby convenient store to buy a newspaper and a cup of coffee. Behind the counter was an older man, perhaps in his sixties, who was just about the friendliest person I ever met. No matter how I felt before I went into the store, I always came out feeling good. I am not sure how his other customers felt, but his enthusiasm made a lasting impression on me. A few years later, before I entered the classroom, I worked for a small, local beverage store as a cashier. I hated the job and remember feeling annoyed by the customers. Then, one day, I remembered the man from the convenient store and the way he made me feel. I decided to give enthusiasm a try. When a customer came in the store I made sure to greet them with a smile and a huge dose of enthusiasm. If they asked me how I was doing, I would always respond with a big "FANTASTIC!" The response I got was usually a look of shock, followed by a big grin. They would ask "why are you so happy" and I would just say "It's a great day." People who came in from a hard day at work could always count on my friendly smile and positive attitude to brighten their day. I also discovered that I soon felt better too and that I had more energy to get through the day. While I still didn't care for the job, my enthusiasm made it a lot more enjoyable. I have been teaching for nearly two decades and each morning I greet my students with the same warmth and enthusiasm that I once used on customers. On the first day of school, my students usually react the way a first time customer would at my old job, but they quickly learn to return the joy. When I ask my students how they are doing, they know to respond with "FANTASTIC!" and it is always followed by a big smile. So what are the benefits besides "feeling good?" First, I have found that struggling learners are much more engaged and willing to work because there is less threatening atmosphere. Second, I almost never have discipline problems and rarely have to send kids out of the room. Third, there is a greater atmosphere of cooperation between the students all which make for a better learning environment. Each year my students have told me that they look forward to my class and it has made the process of learning so much easier, so I encourage you to give it a try. Try saying "FANTASTIC" any time someone asks you how you are doing and be sure to smile. After a few times you will likely find yourself with a boost of energy which leads to more enthusiasm. Before long, you'll have created an environment that makes learning easier and your job much more enjoyable. Are you still skeptical? It has been twenty five years since I started working in that beverage store and I still come across people who remember me from that place. How many cashiers do you remember? I can remember just one. The old man who would brighten my day with enthusiasm and a smile. 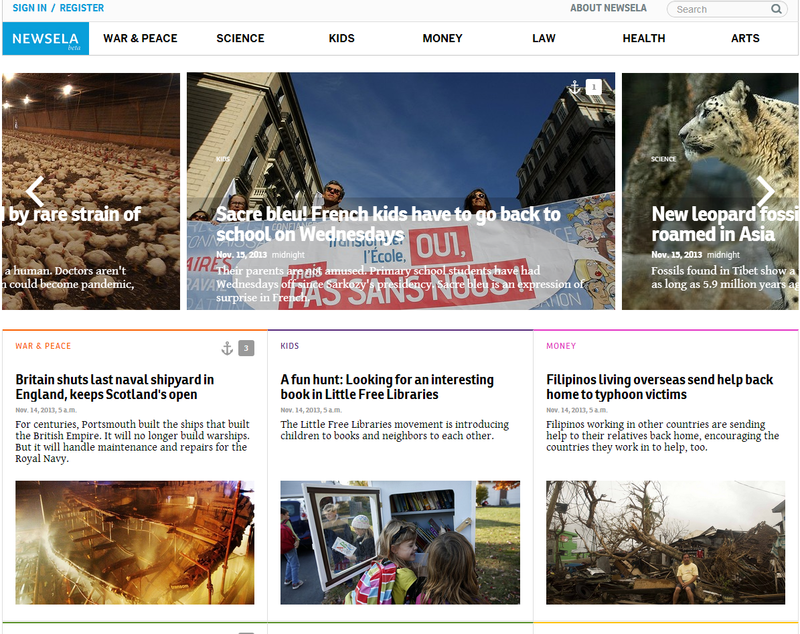 Newsela is a site that offers a wide variety of current events articles for students to read. Users can browse for articles by searching one of their eight categories and many articles come with ready made quizzes. What separates Newsela from other sites is the ability to set the articles to varying reading levels. Any article can be set for lexile levels ranging from a low of 530 up to 960 which is an invaluable feature in today's heterogeneous classrooms. The site is free to use but they do offer additional features for a fee. Kahoot is a great tool for creating formative assessments and review games for students of any age and it will be an instant hit as soon as you use it with your students. Creating Kahoots is very simple and intuitive and it allows you to add text, images and even videos. Kahoot doesn't require any student information and kids simply use a special code to join your game. Kahoot also allows you to add YouTube videos to play at the beginning and when the game is over you can download your student's results to see how they did. Tackk is a great site where students can easily create online posters that can be shared via email, social media or be embedded onto a webpage or blog. As soon as you arrive on the website you can start creating your poster by editing their ready made template. 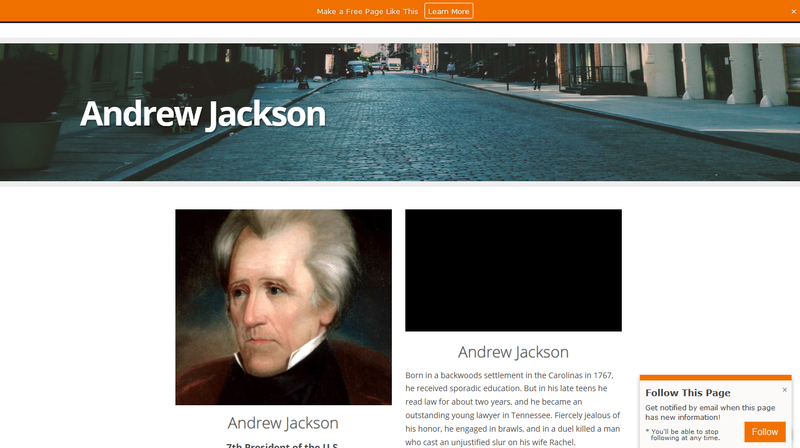 The site is simple to use and users can easily add a title, body text, pictures, videos, and even songs. Content can be added from YouTube, Instagram, Vimeo, Sound Cloud, Hulu, and Spotify. Tackk is free to join and it is one of those great websites that anyone can use and students should enjoy. Below you will find a collection of some the best resources I have discovered over the past six months. While there are many you may have seen before, I am confident that there are some that may be new to you as well. You will find lesson plans, videos, worksheets, graphic organizers, games, project ideas, and list goes on. Give yourself plenty of time because there is a lot to see. Enjoy. Here at Turtle Diary, you can find a large selection of games, videos, worksheets all tailored for young learners up to 3rd grade. 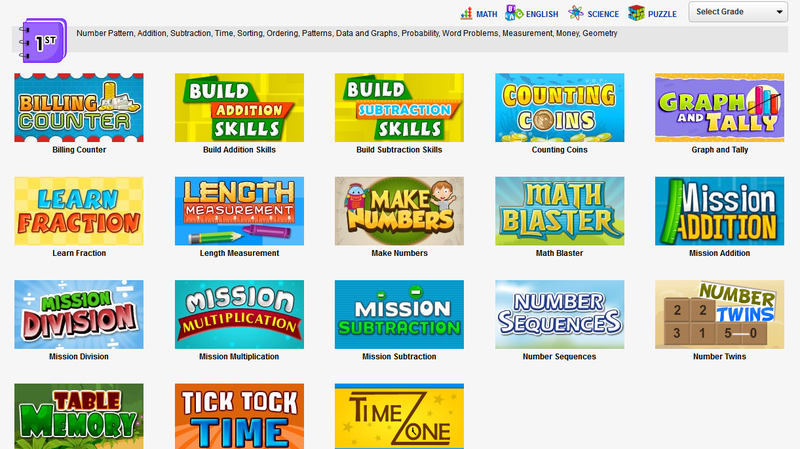 The site has hundreds of games that support learning in math, science, and ELA. All the resources on this site can be searched by age, topic, or type of resource. The site is free to join for teachers but there is a fee if you want to add students. 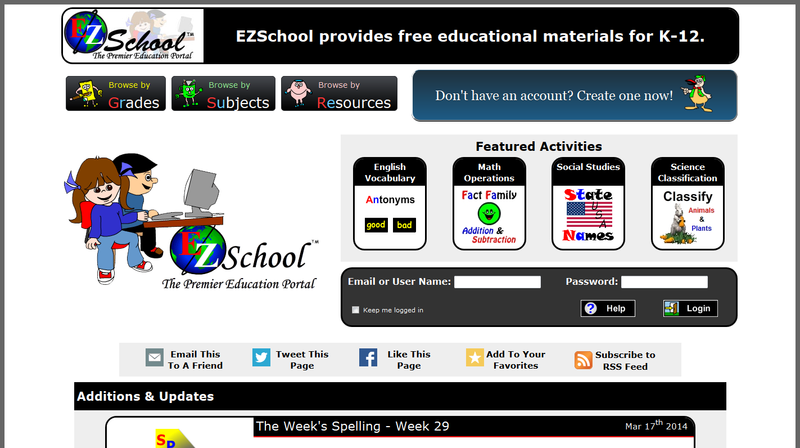 EZ School is an educational site with a wide variety of resources for most teachers. If you teach math, science, social studies, ELA, or a foreign language, then EZ School has resources for you. There are games, quizzes, worksheets, articles, and videos that students and teachers can access for free. 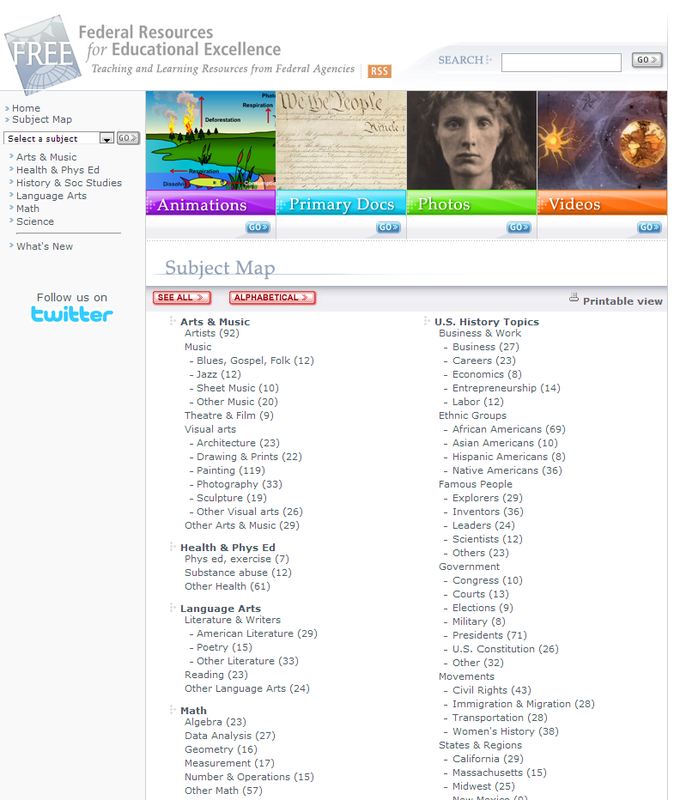 The site is easy to navigate as their resources are categorized by grade, subject, and resource type. This educational site is produced by the University of Kansas with the purpose of stimulating kids desire to learn. 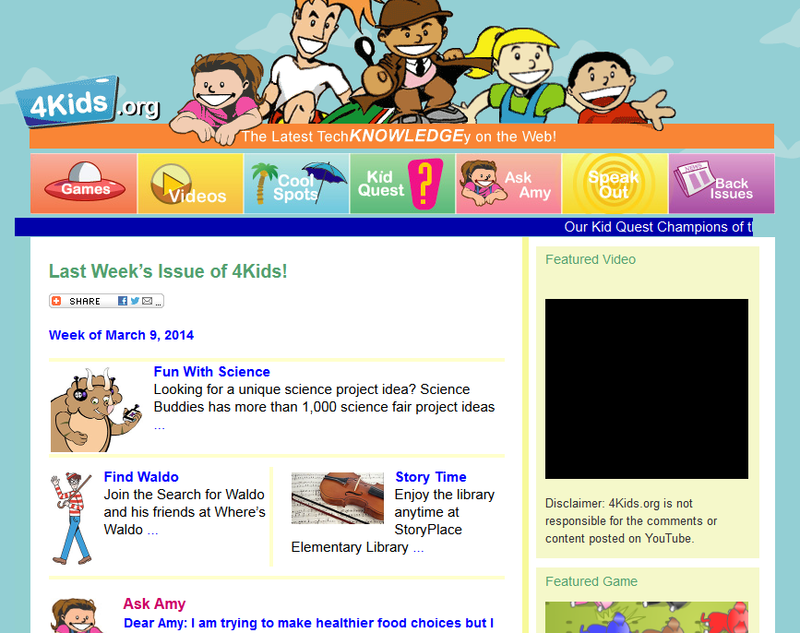 The site offers many fun educational opportunities with links to fun science, math, and history websites as well as a nice selection of games. They also feature current events articles for younger learners and allow kids the chance to write to the site about future publications, as well as an “Ask Amy” column which responds to questions submitted by readers. 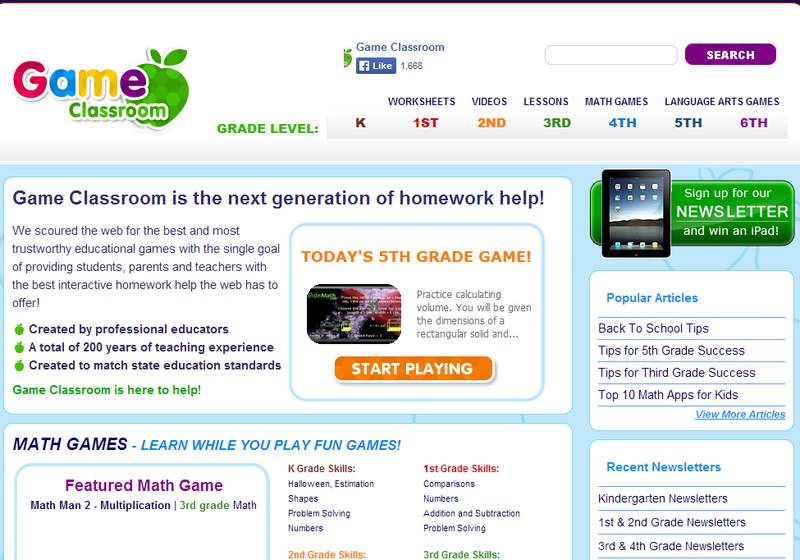 Game Classroom offers lessons, videos, games, and worksheets for students up to grade 6. Their website states their goal is to provide students, parents, and teachers with the best interactive homework help the web has to offer. Students will enjoy the sites huge collection of math and language arts games while parents and teachers will find the site's library of lessons to be helpful. Teachers and parents will also enjoy their library of videos as well as their large selection of both printable and online worksheets. The Federal Registry for Educational Excellence (FREE) website contains a massive collection of education resources. Animations, primary documents, photograph collections, videos, maps, articles, and the lists goes on and on. If you have never visited this incredible collection of educational resources for all subjects and grade levels, then you really have been missing out. For all that our government does wrong, their collection of FREE educational tools and materials is quite extensive and very useful. There are many places on the web where you can find graphic organizers but it may take searching through several sites before you find the right one. 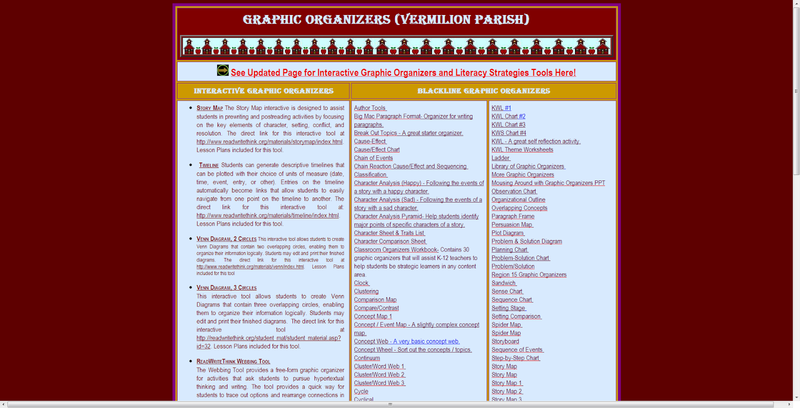 The next time you need a graphic organizer, start here at this collection of graphic organizers from the Vermilion Parish. They have collected the best organizers from around the internet into one large collection for you to use. 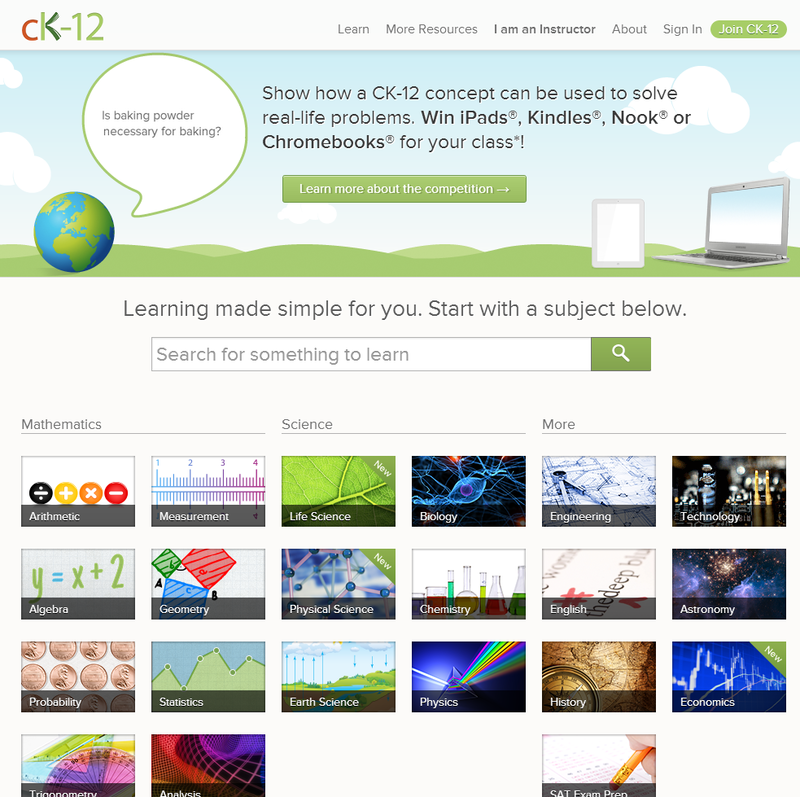 CK-12.org is a non-profit organization dedicated to education. Their website offers a large collection of resources for students and teachers like Brain Genie which I previously shared. The bulk of their resources are math and science centered where students can learn about chemistry, physics, algebra, and geometry just to name four. They also offer resources for other content areas as well including history, English, and SAT prep. Their website is free to join and offers a wealth of learning resources and activities. 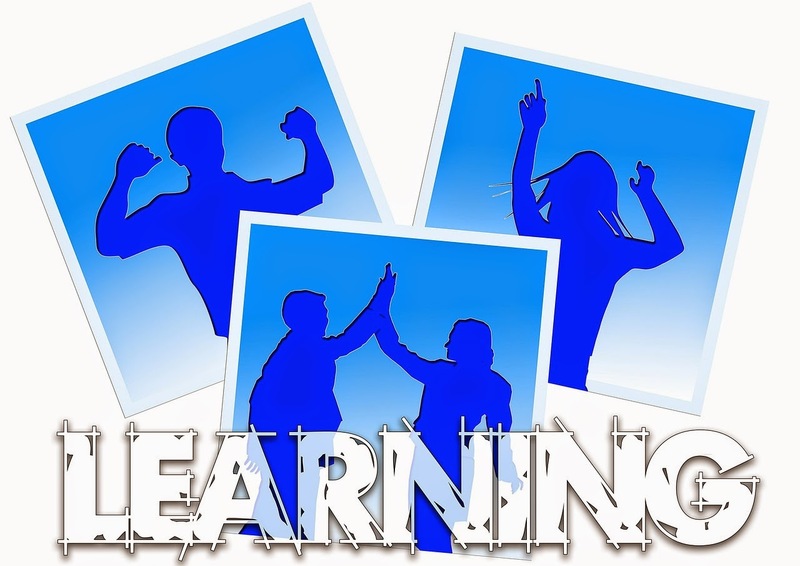 Their site offers articles, quizzes, interactive lessons, videos and students can keep track of their learning as they complete lessons and activities and members can upload their own resources to the site as well. 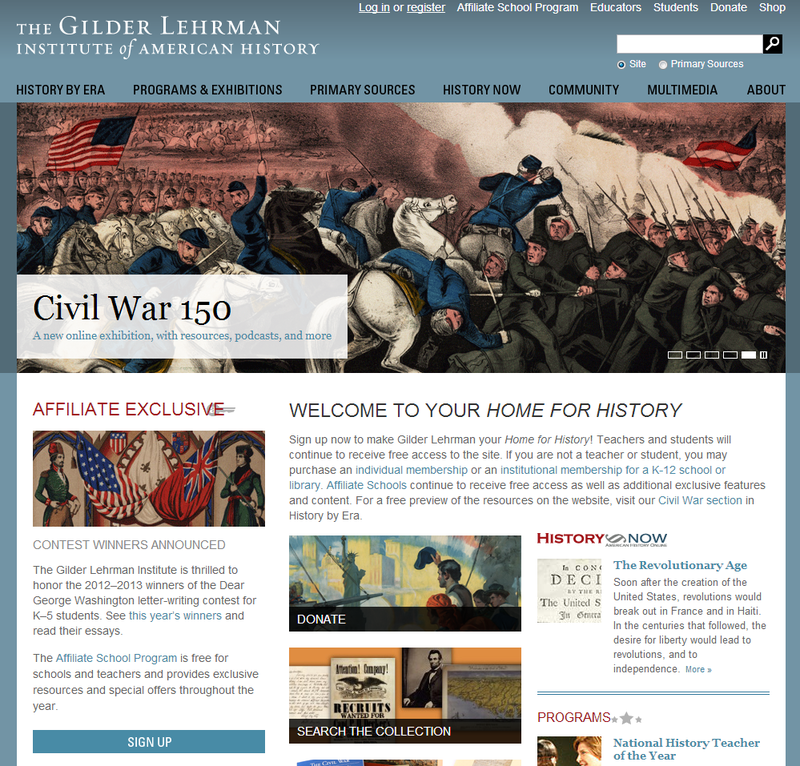 History teachers will want to spend some time here at the Gilder Lehrman Institute of American History website. It features great resources such as this American History by Era which allows you to learn about American history by era and or theme. There is also a section dedicated to primary sources which is also categorized by era. In their Programs and Exhibitions area there is an online exhibitions page which includes enhanced audio, videos and slideshows about history. The site also includes a multimedia section with hundreds of videos as well as a community section where members of the site can communicate and share information. Suffice to say that the Gilder Lehrman Institute of American History is a fantastic resource for history teachers and students. 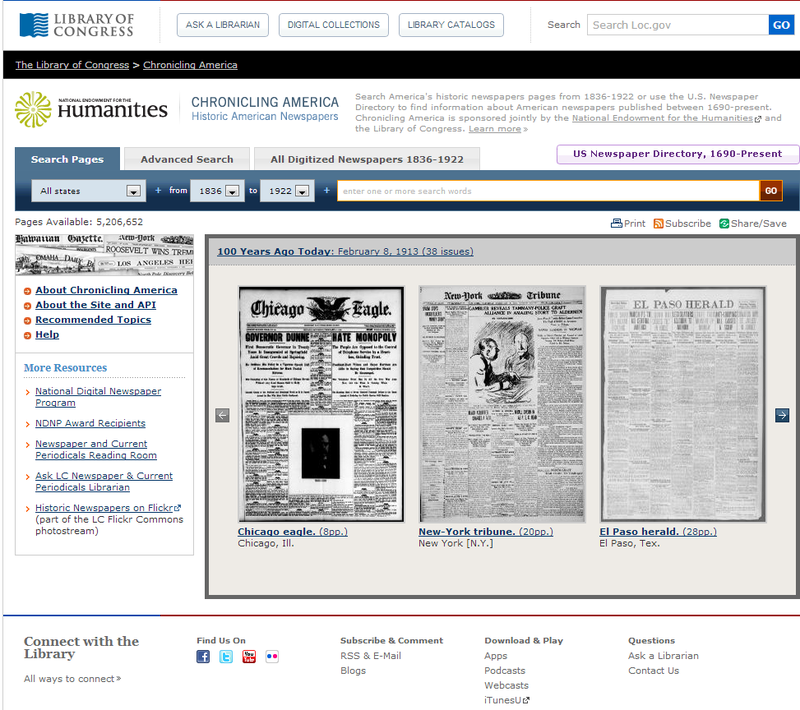 Chronicling America, from the Library of Congress, is a site that contains a huge database of historic newspaper pages from the years 1836 to 1922. Their homepage features "newspapers from 100 years ago today" but users of the site can use their extensive search option to look for year, state, topic, newspaper, dates, and even language. 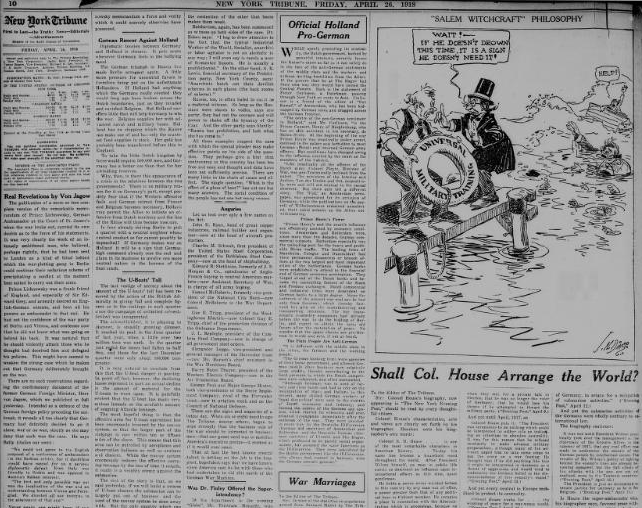 Here is a clip from a newspaper when I searched "World War I, New York, 1918." 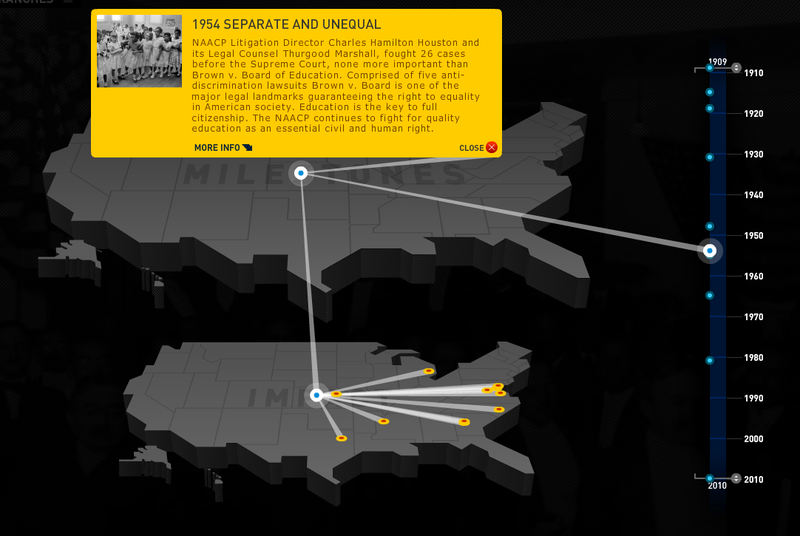 Chronicling America could be a good tool for student research from a particular era or topic. 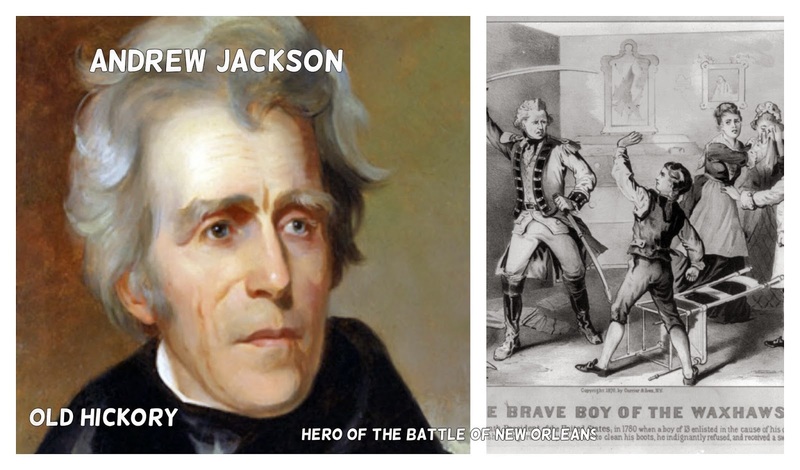 If you are a history teacher you owe it to yourself and your students to take some time to browse around and see what the site has to offer. This website helps students develop close reading and critical thinking skills by offering current event articles with varying levels of text complexity. Lexile levels of an article range from 2nd grade up to 12th grade which allows for differentiation within the same classroom. The articles are categorized by war/peace, science, kids, money, law, health and arts. Many of the articles are accompanied by quizzes that provide quick feedback. Newsela is currently in beta and is free for all teachers. I think you will find Newsela to be a valuable resource for your students. RSA Animate is a You Tube channel from RSA.org that contains a series of thought provoking videos about education, economics and a variety of other important topics such as this one about human behavior and what motivates us. After watching this video you will want to share it with your bosses, managers, CEO's, politicians and other people in power. One of my personal favorites is this one that describes the changing paradigm shift in education by Sir Ken Robinson. 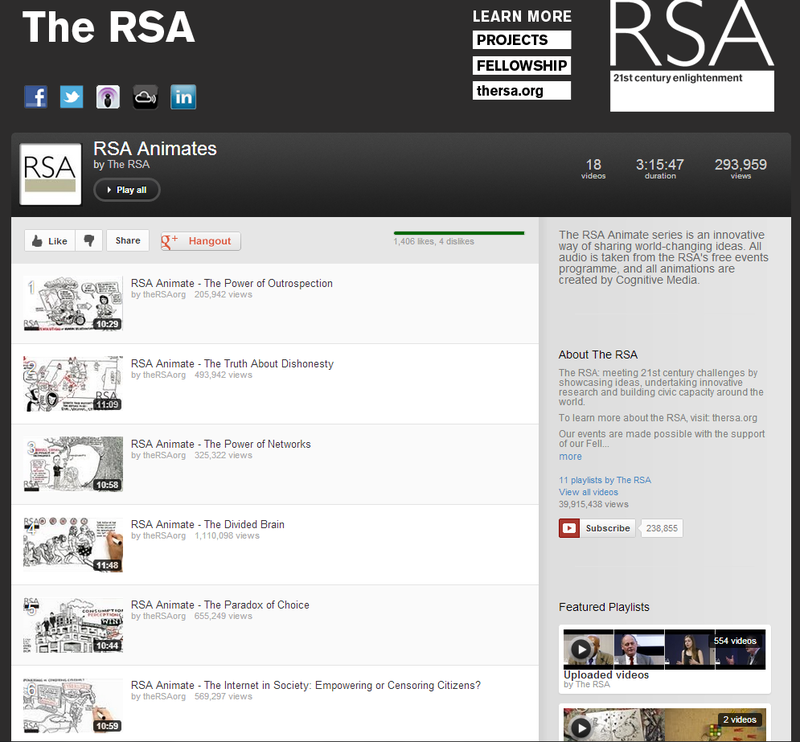 RSA Animate currently has 18 videos in their collection and I highly recommend you check out their collection of videos. The school year is more than half over and end of the year state exams are looming. If you teach science, social studies, math, or ELA at the secondary level then you should really take a look at Problem-Attic. With this site you can quickly and easily create review tests and quizzes as well as flash cards for your students to use. Problem-Attic has a test bank of over 80,000 questions from old New York State Regents exams as well as science, math, and social studies state assessments from around the country. It is free to join and so simple to navigate. You name your test, browse their huge question bank, select your questions, format the test, and you are done. 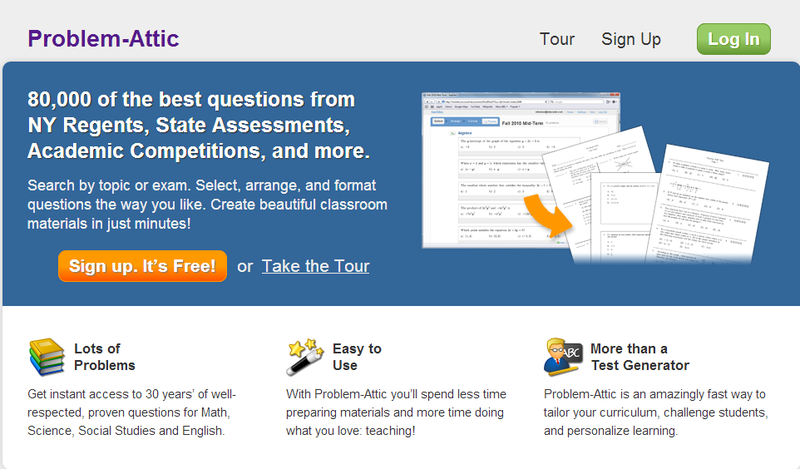 Problem-Attic is a fantastic tool for teachers because it will help you save your most valuable resource, your time. 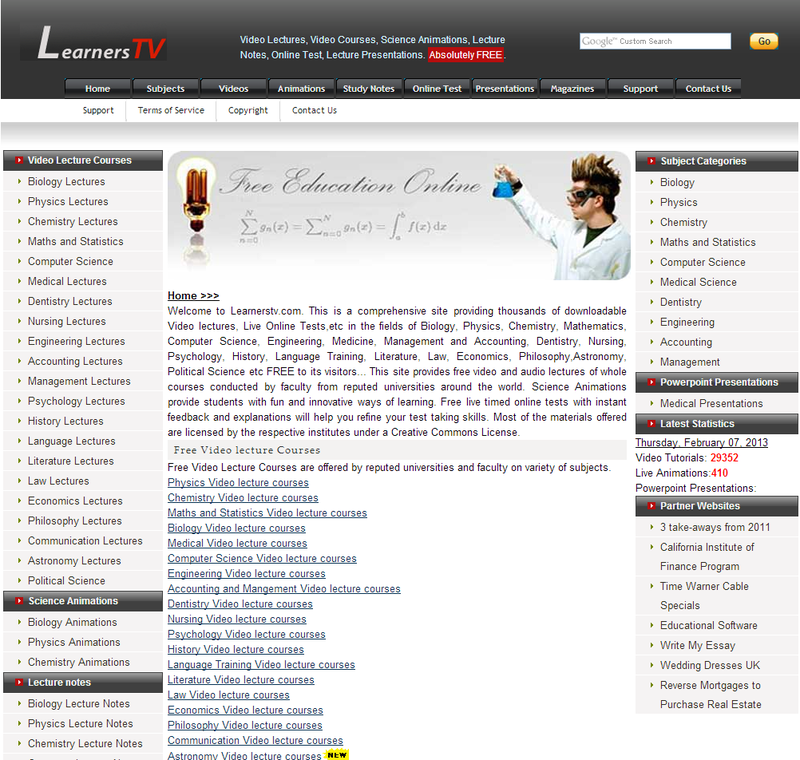 Learners TV is an online resource that provides thousands of videos, lectures, tests, and animations on a wide array of college subjects and disciplines. The website currently has over 29,000 video lectures on topics such as biology, history, law, philosophy, and economics to name a few. This website is an excellent way for college students to support their classroom instruction and best of all it is free to join. 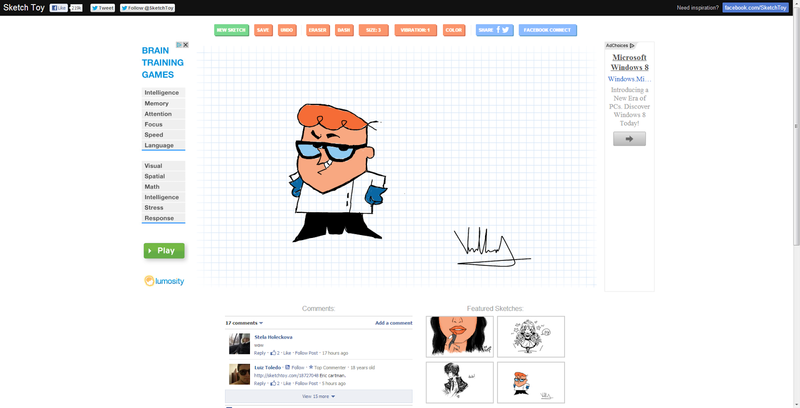 Here is a website that allows you to draw a picture on their website and share it on your Facebook page. One advantage to Sketch Toy is their "graph paper" background to help you keep your art centered and symmetrical. They also have a feature that makes your art vibrate much like an old cartoon. If drawing is your thing, why not give Sketch Toy a try. Daily Infographic is a website that features the best and most dynamic infographics found on the world wide web. If you are searching for an infographic about a specific topic then this website can help you as well. You can use their search bar or just select the category that interests you and they will more than likely have the infographic you were looking for. If you really enjoy their site then you can subscribe to their site and have daily infographics emailed to you. Seems as though just about everyone uses some type of Google product these days. 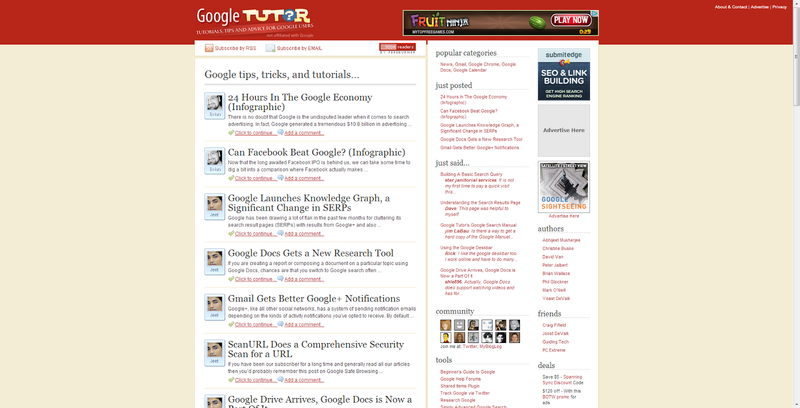 Google Tutor is a site that wants to be your resource for all things Google. They are one of the leading websites for news, tips, and tutorials for Google and their products and services They are not affiliated with Google, but are just huge fans of Google who want to share their passion with the world. If you have any Google related questions, go to Google Tutor and they should have the answer. This site has nothing to do with the C&C Music Factory song. It is a resource from a site called Sparky Teaching that challenges students to think and respond to a question. 365 Things is a good warm up activity or or writing prompt. Students can leave their response on the website or teachers can display the question and have students respond at their desks on paper. Either way, 365 Things to make you go hmm is an good resource for any teacher to spark think, writing, or conversations within the classroom. When I first discovered eQuiz Show, I knew I had to write about it on this blog. eQuiz Show allows you to create online Jeopardy style games which you can use in the classroom or students can play them from home to review. Creating the games is very easy and you can always edit them at any time. A password is required to edit any quiz so no other user can edit your quiz unless they have your password. Teachers, if you are looking for an engaging way to review with your students, then really should give eQuiz Show a try. 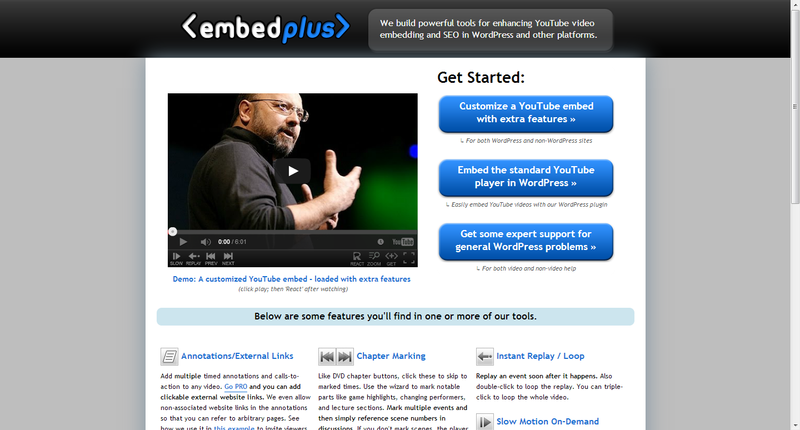 Embed Plus is a tool that enhances viewing You Tube videos by giving you full control like you have with DVD players. Embed Plus allows you to fast forward, rewind, pause, instant replay/loop, play in slow motion, zoom, crop, and mark chapters. It is available as a Chrome extension or Word Press plug in and can also be embedded into a blog or website. Check out Embed Plus and you will likely be changing the way you watch You Tube. With Every Slide you can turn your average presentation slides into an interactive educational experience for your students. 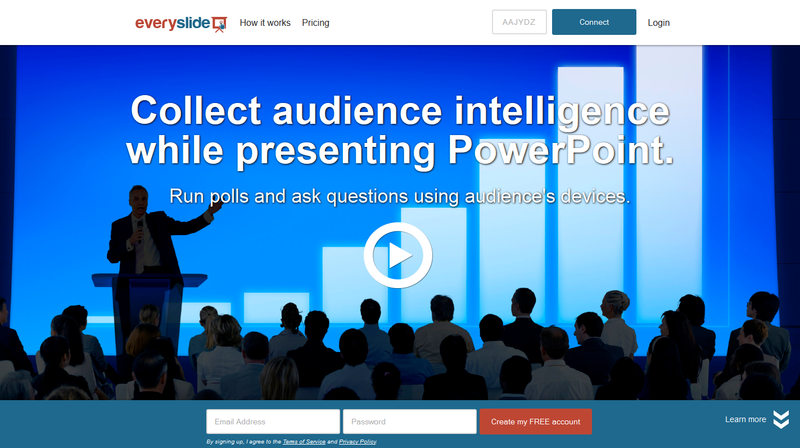 You simply have to upload your presentation and then add polls that your students can respond to with their own devices. The polls can be text, true/false or multiple choice and you can add them ahead of time or as you go. Students can join the presentation by typing in a code which is visible at the top of your presentation. This is a powerful tool and best of all, it is free for teachers. Most teachers are always looking for ways to make formative assessments more fun and engaging. 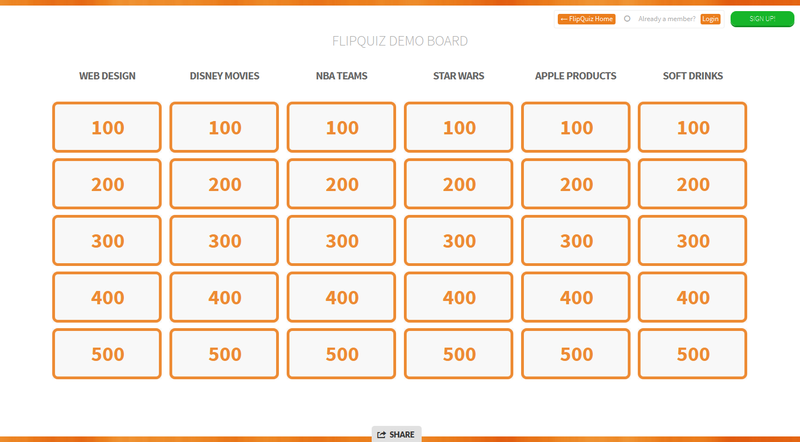 Flip Quiz (in Beta) allows you to create Jeopardy style review games and you don't have to possess any technical know how. Once you sign up you can easily create your first game in a short amount of time and your students will love playing along. Thank you Doug Peterson (@dougpete) for sharing this via Twitter. This site allows you to create a simple single page poster with text, images, and videos. Once you sign up (it's free) you simply add the elements and then publish the final product. Elements can be added from your computer, social media sites such a s Flickr, or added from the web. 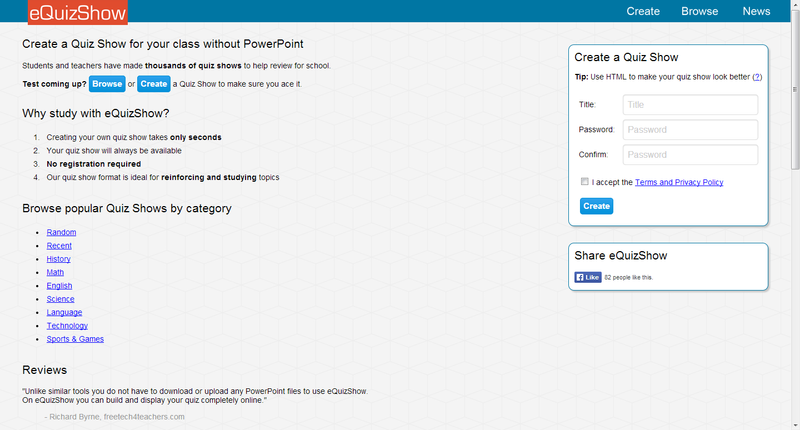 One of the best features on Populr is that it allows collaboration on a page which is great for group projects. Finished projects can be shared via email or your favorite social media sites. Here is a terrific site for creating an online photo album or scrapbooks. This site also allows collaboration which make it ideal for group projects. Signing up does require an email address but no other personal information is needed. The site is very simple to use as all you need is to add pictures and then text to accompany each picture and the site does the rest. Once you are done the book can be downloaded as a PDF to be handed in or students can share the book with the teacher. 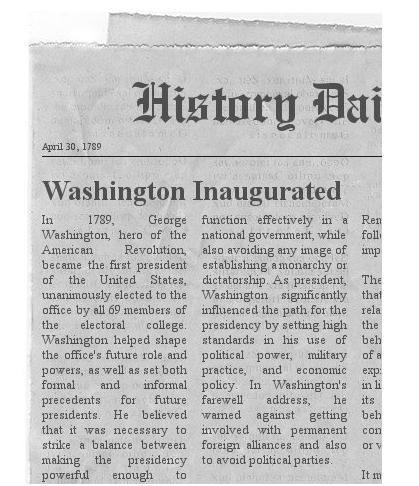 Fodey is very useful a website that allows you to write your own newspaper story and headline. 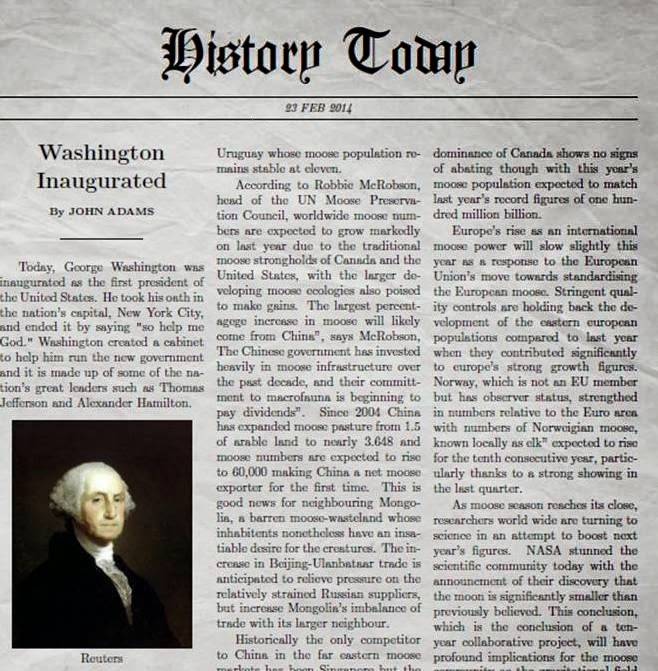 The site also allows you to change the name of the newspaper as well as the publishing date which makes it a perfect tool for social studies projects. Once the story is completed you can download it to your computer or use a screen capture tool to save the image. 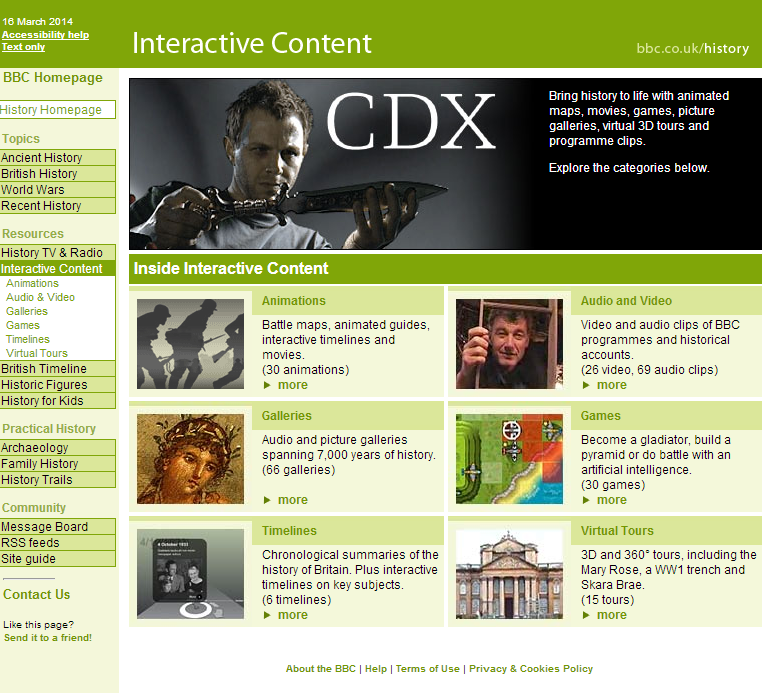 While this is a perfect tool for history projects, this website is great for any subject area. This newspaper generator by Homemade Gifts Made Easy is very similar to Fodey but it has several features that make it more a powerful tool. First, it allows you to add a picture to your story which helps to make the finished product more interesting to students. Second, there seems to be no limit to how much text you can write. The finished product can be saved as a pdf by right clicking on the image. However, the story you write will be accompanied by several "nonsense" stories that come with the site. 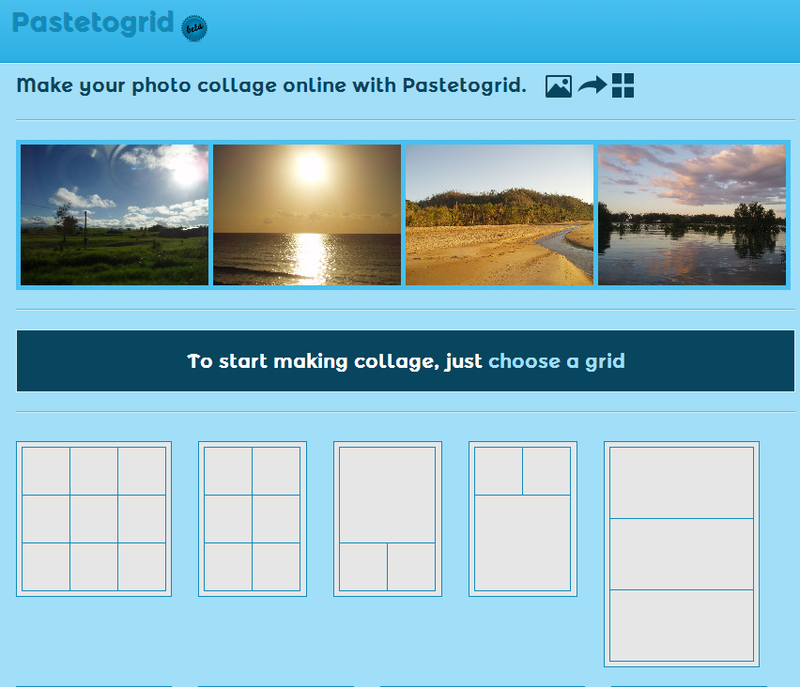 This website (currently in beta) allows you to easily create a photo collage which can be used on a website or as part of a student project. Choose one of the 14 grids and then add pictures and the final product can be saved to your computer as a jpg file. This tool can be used along with the Newspaper Generator above by Homemade Gifts Made Easy to create a nice newspaper project. This powerful site by Brother allows you to generate posters, newsletters (mailers), calendars and brochures. Each type of document comes with a collection of dynamic templates which a simple to edit. Projects can be saved for later editing and then be printed or saved to your computer when they are done. 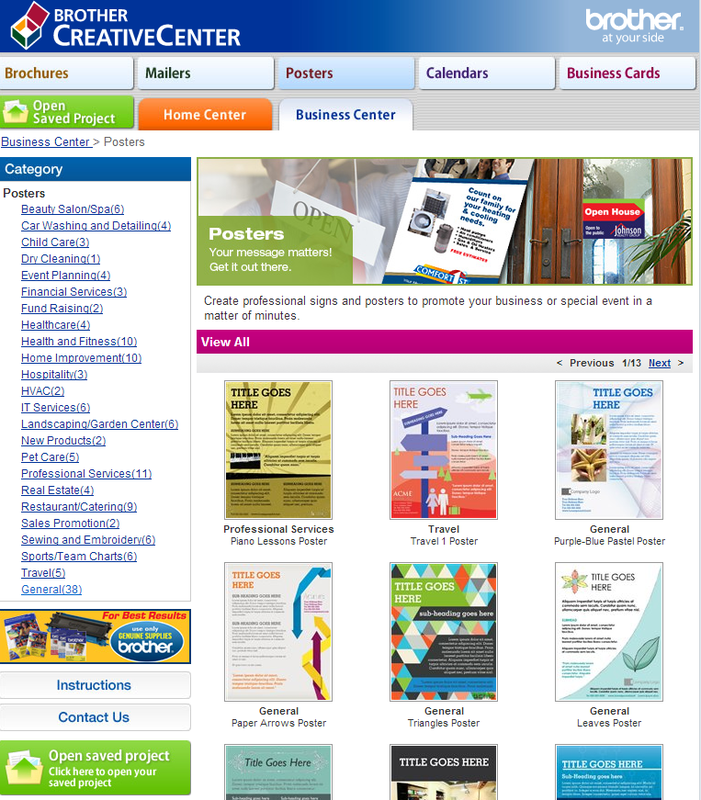 This site is a great online alternative to Microsoft Publisher and it is free to use. 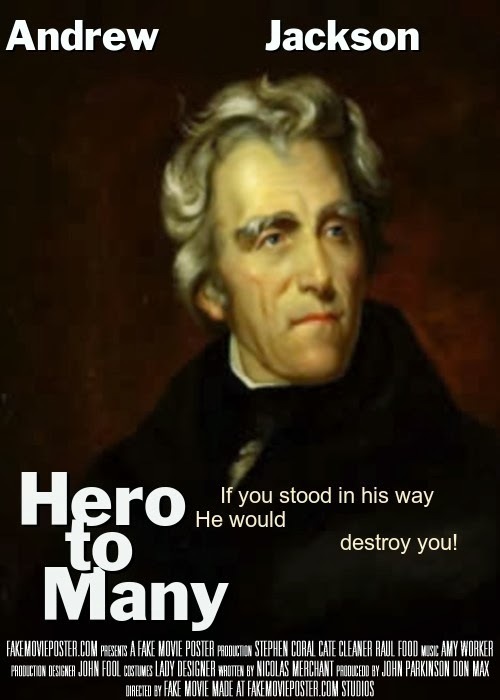 Creating a movie poster is a great school project. With this simple website, the task is that much easier. Students simply upload an image, add a few details for the text and then share their completed poster with the teacher. This project works is a great for history, science, or as a final project after reading a novel. Here is another website to create great poster projects. With this site you can add many photos to create a collage or other types of posters. The site features many templates as well as a wide selection of other enhancements to make stunning posters. This site is better known for its photo editing but it also allows users to create photo collages. You select your layout, add your photos and then add text and your project is done. Final products can be saved to your computer, shared to Flickr or other social media sites. 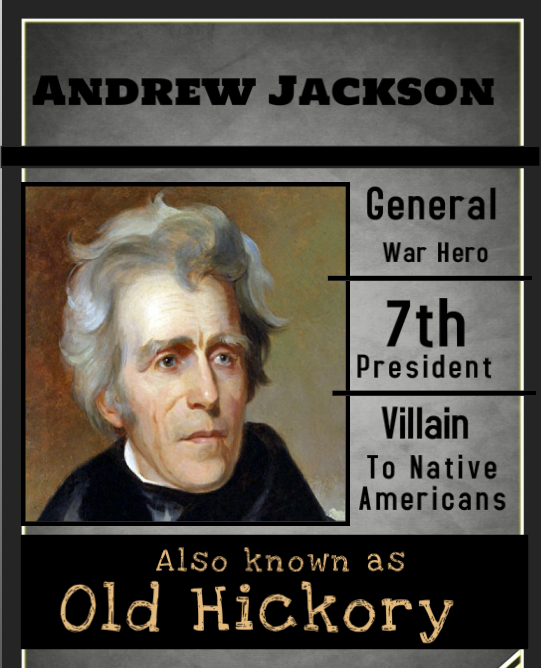 Yet another terrific site for creating poster projects for the classroom. The site is easy to use and navigate. Just select a template and change or add content as you desire. Every aspect of a poster template can be changed and you can add more pictures or text if you need. Once done there are a variety of ways in which the final poster can be shared including email. Mural.ly is a fantastic online tool that appears to be intended for business but would work really well in the classroom. The site allows you to create online poster like presentations by adding pictures, text, websites, documents, and a host of other bells and whistles. The site also allows others to collaborate on the poster with you by a simple email invite and then they can join in. 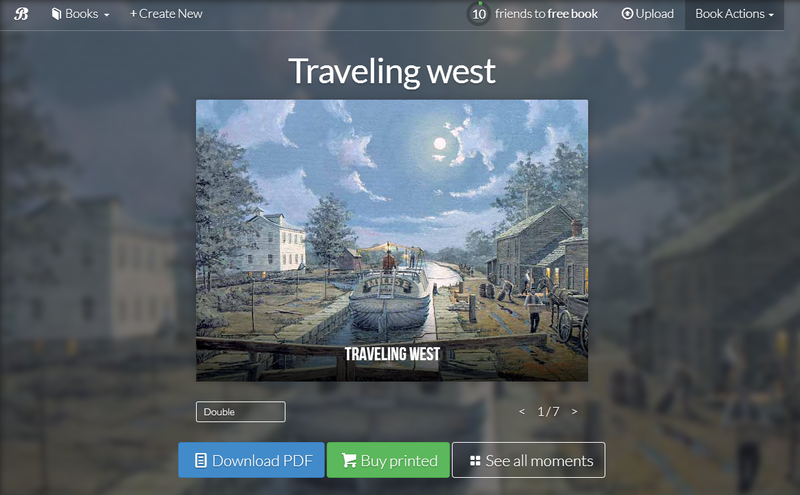 Mural.ly is a great resource for group projects and it is free to join and free to use. 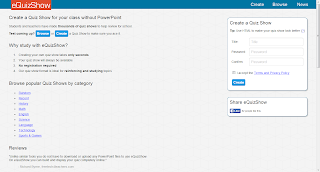 Word Draw is a site that offers free professional looking templates for newsletters, flyers, labels, and resumes. The sites newsletter templates are categorized for education, business, family, holidays, and by month. The templates must be downloaded and are compatible for all versions of Microsoft Word. These templates can also be utilized for a class newspaper, projects or even reports. Tackk allows you to create online posters that can be shared via email, social media or be embedded onto a webpage or blog. As soon as you arrive on the website you can start creating your poster by editing their ready made template. You can easily add a title, body text, pictures, videos, and even songs. You can add content from You Tube, Instagram, Vimeo, Sound Cloud, Hulu, and Spotify. 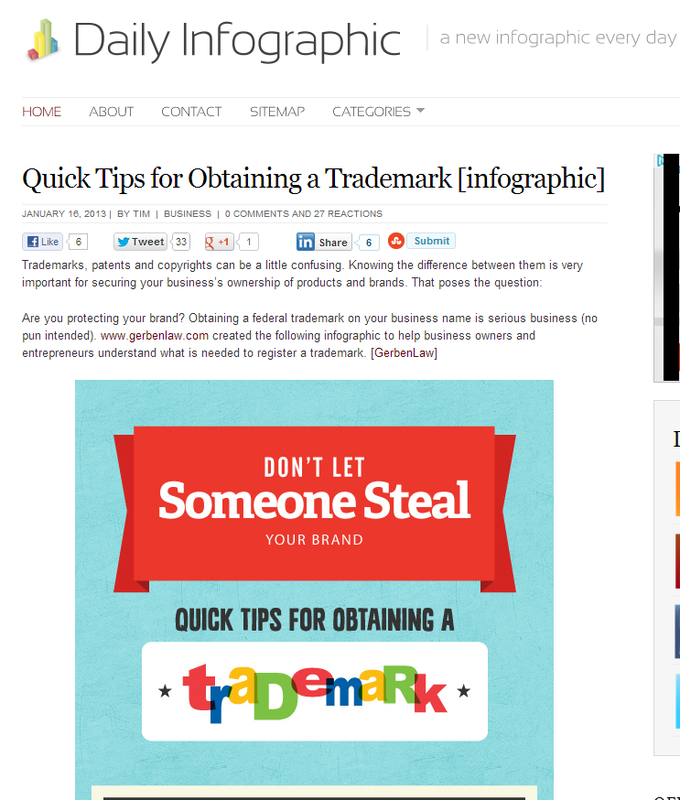 Creating an online poster with Tackk is so easy to do. With Picovico, you can turn simple photographs into cool videos. Once you sign up (it's free) you begin by choosing a video template and then adding your pictures from Facebook, Flickr, or your computer. 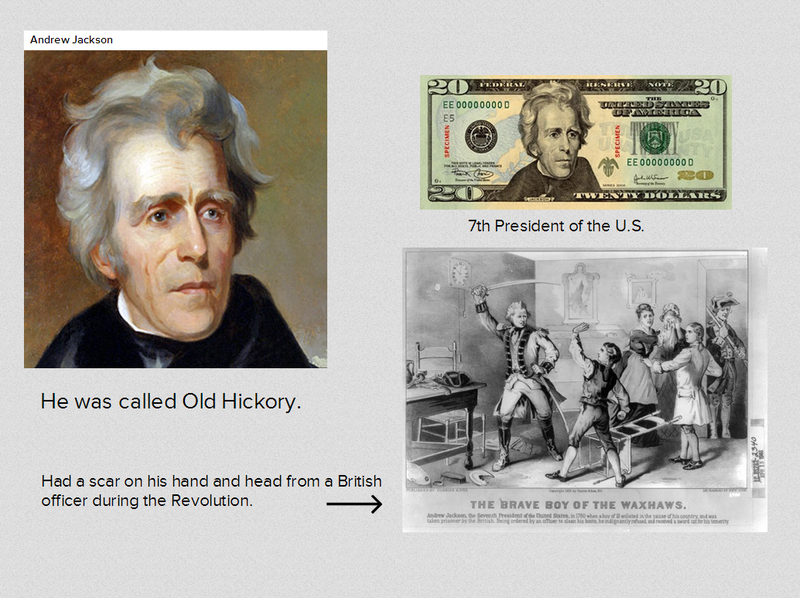 You can set the order of your pictures, add captions to them and add text slides if you wish. Next you add music, either from their library or add your own from your computer. Your last step is to add a video title and any additional text and you're done. Completed videos can be uploaded to You Tube or Facebook and can even be embedded into a website or blog. The site does have a 30 picture maximum but that is long enough for most people. What was it like to live in 1628 Colonial America? To find out, go to this interactive site by PBS and discover the people, food, clothing, houses and ways of life for Colonists, indentures servants, and Native Americans. 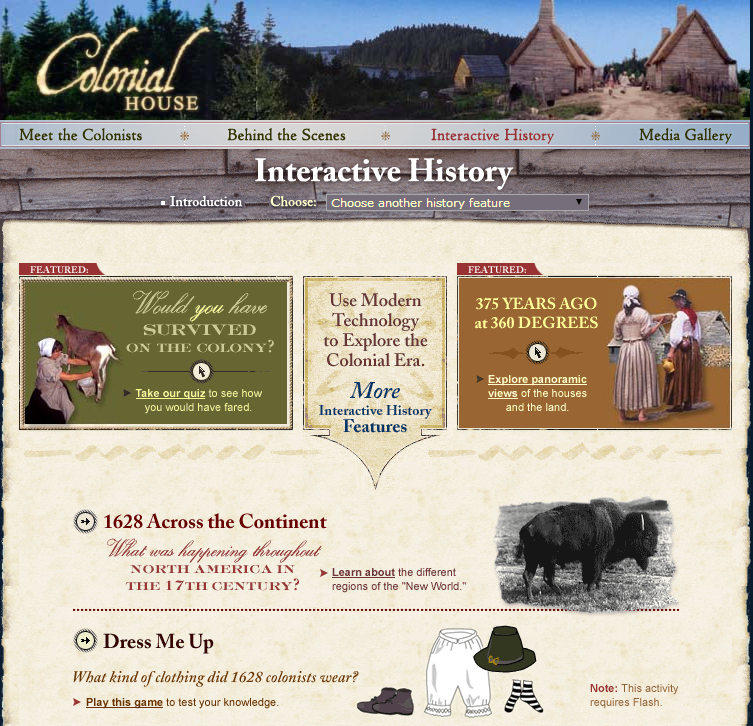 The site contains a variety of learning activities including audio, video, quizzes, maps, dress the colonist, and an interactive journey across the ocean. Colonial House is sure to make learning about colonial life more fum and engaging for your students. I have shared this awesome site previously for these posts about math and science and their collection of interactive history activities is second to none. 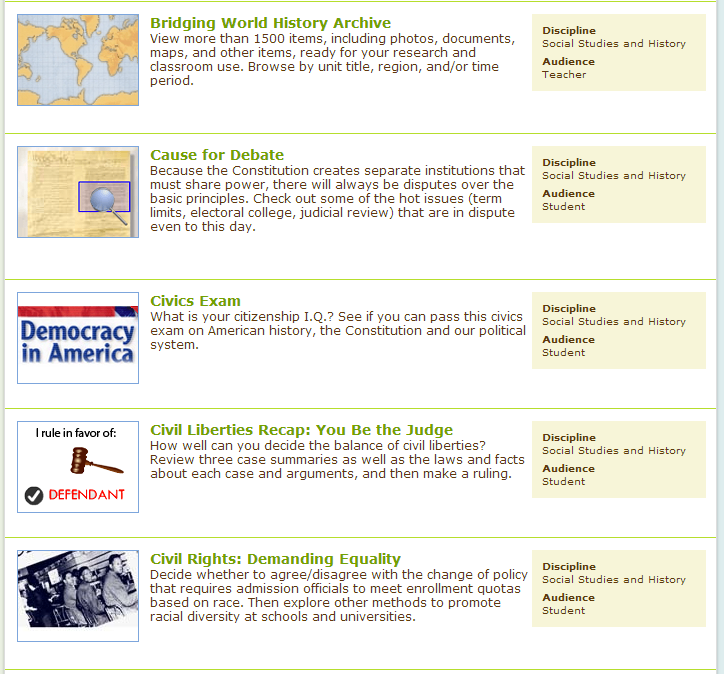 You will find over 90 different resources on topics ranging from the Spice Trade to Civil Rights. I cannot possibly do justice to this site so you will have to check it out for yourself. You won't be disappointed. The BBC always seems to have terrific content and this site is no exception. Visitors will discover audio, video, animations, timelines, games and galleries on many historical topics. The World Wars, Ancient Rome and the Egyptians are all topics you will find here. If world history is your "cup of tea," then head on over to this BBC site to find out more. 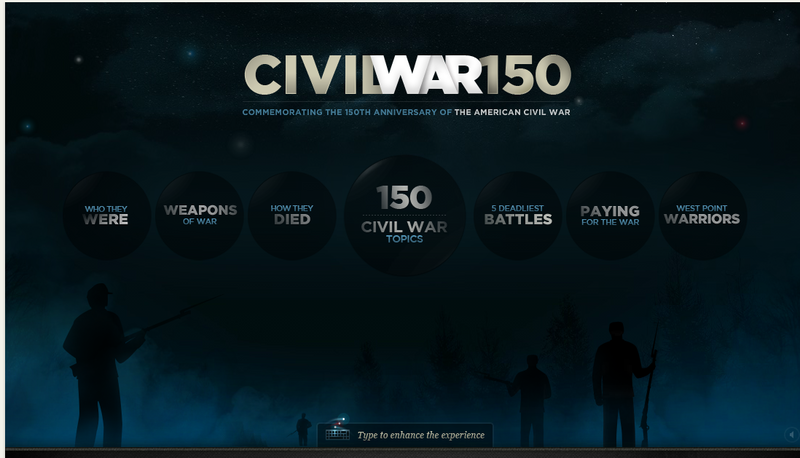 This interactive site from the History Channel brings the American Civil War to you in a series infographics which identify key details about America's most tragic war. The people, the weapons, the deadliest battles, and economics behind the war are all shared in fascinating detail. 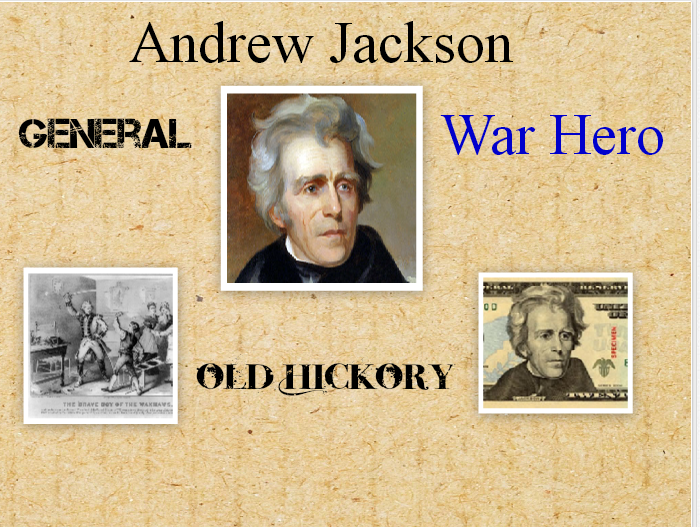 Visitors can find out even more about the war by clicking "explore topics and vote" below the site's title. From here you will be presented with more topics and more information and you can vote on whether the topic left an important legacy. 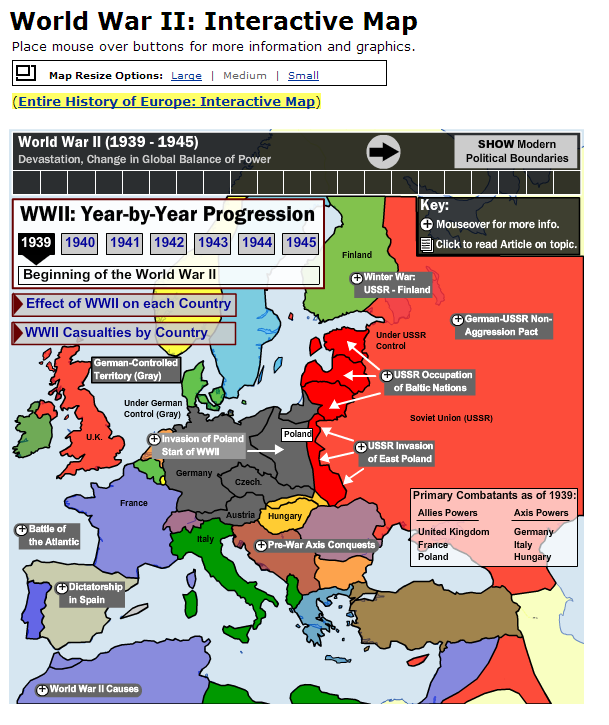 World-ology's offers a nice collection of interactive maps that cover European history from the Dark Ages to the Cold War period and modern Europe. There are currently a dozen maps to explore and each offers much more than just political lines and capitals. The maps all share detailed information on the topic when your mouse hovers over selected points. There are many options available including the ability to show modern political boundaries over the different historical maps. The site also offers timelines and articles as well.